Mushahid Hussain Syed), is a conservative journalist, political scientist, geostrategist, and a former media mogul, currently serving as the senator on a Pakistan Muslim League (Q) platform to Senate of Pakistan. As of current, he is the current Secretary-General of the Pakistan Muslim League, a centrist party. 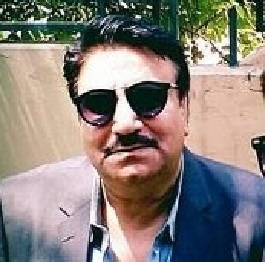 Educated and graduated from the Forman Christian College University in Pakistan and the Georgetown University in the United States, Sayed started his career in the journalism when he became the founding editor of the former leading newspaper, The Muslim in the 1970s and subsequently arrested by the Military Police for staging a demonstration movement against the military coup d’état by General Zia-ul-Haq in 1979. 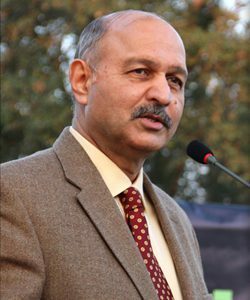 A versatile and enlightened journalist by profession, Mr. Mushahid Hussain Syed was born in Sialkot on 2nd November, 1952. He has a Master’s degree from the School of Foreign Service of Georgetown University in Washington DC. Mr. Mushahid Hussain Syed taught politics and International Relations at the Punjab University Lahore before leaving Academia for the media in 1979. He was a Member of the Faculty of the Pakistan Administrative Staff College, the country’s premier training institution, directing a training programme for new diplomats. 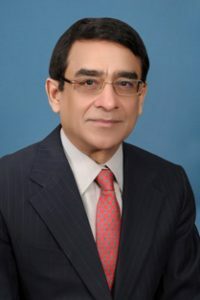 Mr. Ahmer Bilal Soofi is Pakistan’s former Law Minister during the 2013 Interim Government and an advocate at the Supreme Court of Pakistan. He has an LLM from the University of Cambridge UK and has been practicing law in Pakistan for over 25 years. 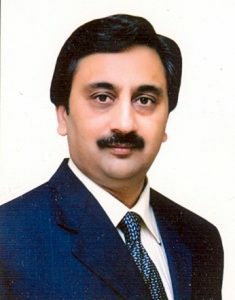 He is the Senior Partner of a well-reputed law firm ABS & Co having its office in Lahore and Islamabad and President of the Research Society of International Law (RSIL). Mr. Soofi acted as an expert from Pakistan to provide country report that became part of the ICRC Customary Study on international humanitarian law. He has done extensive work for improving legislation in Pakistan relating to human rights and international humanitarian law. In this regard, Mr. Soofi and his team carried out a one volume comprehensive comparison of Pakistan’s entire legislation with the Geneva Conventions, Additional Protocols and the Rome Statute. He regularly advises the Ministry of Foreign Affair, Ministry of Defense and Ministry of Interior, and has represented the GoP in a $220 million international arbitration regarding Reko-Diq before ICC ans ICSID. 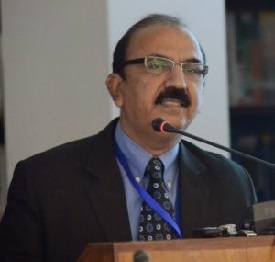 Dr. Javaid R. Laghari is Chairperson of the Trust for Innovation, Entrepreneurship and Knowledge (TIEK). He has served in six key positions in the last 30+ years. Previously he was Chairperson of the Higher Education Commission (HEC) of Pakistan. He has also served as Coordinator General of COMSTECH, the OIC Ministerial Standing Committee on Scientific and Technology Cooperation – which is the organization of OIC comprising S&T Ministers of 57 Islamic Countries. 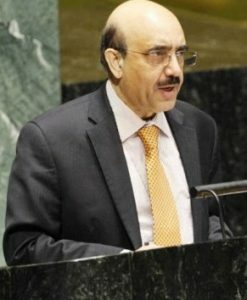 He was also an elected Senator in the Pakistan Parliament, founding President of a leading private university SZABIST, and former tenured full Professor of Electrical and Computer Engineering at SUNY Buffalo, NY. Dr. Laghari was also the Founding President and Project Director of SZABIST, a multi-campus university which he established from scratch in 1995, and within 6 years. Dr Laghari has delivered over 37 keynote lectures, 117 Chief Guest addresses, 61 invited lectures, 47 interviews published and over 88 TV interviews. He has also published three books on Leadership. He was given the national award ‘Tamgha-e-Imtiaz’ conferred by the President of Pakistan in 1998. Dr. Laghari is listed in the American Men and Women of Science, Who’s Who in Science and Engineering, Who’s Who in the East and Who’s Who in the World. Dr. Shahid Siddiqui obtained his Ph.D. in Language Education from University of Toronto, Canada, M.Ed. TESOL from University of Manchester, U.K., and MA English Language and Literature from the University of Punjab. He has been involved with Educational system of Pakistan in various capacities, i.e., as a teacher, teacher educator, and researcher. Dr. Siddiqui has taught in some prestigious universities including the Aga Khan University GIK Institute for Engineering Sciences and Technology, Lahore University of Management Sciences (LUMS) and Head Department of Social Sciences in Lahore School of Economics. Currently he is acting as Vice Chancellor Allama Iqbal Open University, Islamabad, Pakistan. His areas of interest include socio-cultural aspects of language, educational change, and critical pedagogy. His book, Rethinking Education in Pakistan: Perceptions, Practices, and Possibilities, was published in 2007 and is used in a number of teacher education institutions. His Urdu novel, Adhe Adhoore Khawab, published in 2009, deals with the themes of education, politics, justice, and social change, Language, Gender, and Power: The Politics of Representation and Hegemony in South Asia, published in 2014. He regularly writes on educational and linguistic issues for the editorial pages of national Newspapers. PhD (Law)* (CNAA-Faculty of Law, Liverpool, UK. ); Research also at Queen Elizabeth House, Oxford University, UK. (1986 -1989). Current: General civil legal practice in Islamabad with sub offices in Rawalpindi, Karachi, Quetta & UK; and ‘Alternate Dispute Resolution Centre’ in Islamabad/Rawalpindi (February 2009 to February 2014, May 2015 – to date). Legal Advisor to the Ministry of Foreign Affairs, Islamabad (MP-1) (February 2014 – May 2015). Author of 19 Reported SB Judgments in one year (2nd highest number). Some landmark judgments reported in Law Journals. Numerous DB Judgments (highest number: many reported in Law journals). “Opening the Floodgates: Eligibility for Asylum in the U.K. & U.S.A ( Legal)”. Anglo American Law Review, Vol. 17, No 2, 1988. Barry Rose Law Periodicals Ltd, West Sussex, England. An Oxford educated economist by background, with immense experience as a strategic management consultant, and business builder. He is Emeritus Professor of Strategy at Royal Holloway, University of London, and formerly Visiting Research Professor, The Open University. In the Emeritus phase of his career he has become founder and CEO of Magna Carta College and Global Business School Oxford. Until 2003 he was an Official Student (Fellow) at Christ Church, Oxford and Member of the Governing Body, and an Oxford University Lecturer in Management Studies (Strategic Management). He has been in recent years Deputy Director of the Oxford University Said Business School, Director of the MBA programme for Oxford University, and Director of Undergraduate Programmes, Chief Examiner for the MBA, Chairman of the Graduate Studies Committee, and Chairman of the Faculty of Management. Pakistan’s Sherpa (Chief Negotiator) for the Nuclear Security Summit (NSS) process from 2009 to early 2015. Over the years, he has also specialized in multilateral diplomacy and important bilateral relationships, especially with China and the United States. Mr. Khan has attended many UN conferences and summits as delegate, representative and leader. He has spoken widely at various national and international forums, think tanks and academic institutions on international affairs, strategic issues, economic development, energy, nuclear security, and disarmament. Before joining the Foreign Service of Pakistan, Mr. Khan was a Lecturer in English. During that period he was also a TV presenter; and newscaster. Lord Nazir Ahmed, Baron Ahmed is a member of the British House of Lords. He was appointed on the recommendation of Prime Minister Tony Blair in 1998. Many of his political activities relate to the Muslim community both in the UK and abroad. He resigned from the Labour Party in May 2013. He founded the British Muslim Councilors’ Forum and was a Justice of the Peace between 1992 and 2000. He was both the first Asian councilor of Rotherham and the town’s youngest magistrate. 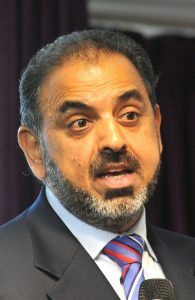 Lord Nazir was appointed to the House of Lords having been created a life peer as Baron Ahmed, of Rotherham in the County of South Yorkshire on 3 August 1998. He led the first delegation on behalf of the British Government on the Muslim pilgrimage of the Hajj. At home, he speaks on wider equality issues, and has spoken several times on issues of race, religion and gender; he has advocated legislation against religious discrimination and forced marriages. 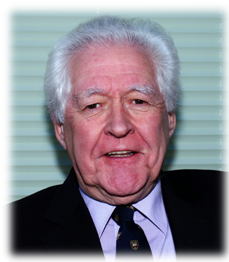 He helps with various charitable causes and has been on the board of several organizations, including a period as president of South Yorkshire Victim Support and as a trustee of the British Heart Foundation. He resigned from the Labour Paand has been on the board of several organizations, including a period as president of South Yorkshire Victim Support and as a trustee of the British Heart Foundation. He resigned from the Labour Party in May 2013.